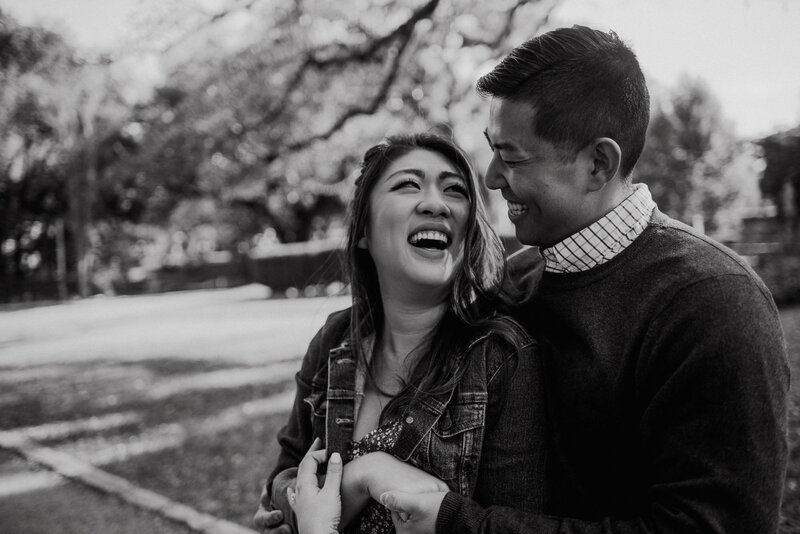 Kyle had told Linh they were going to an early morning “art walk” on a sunny Saturday morning. 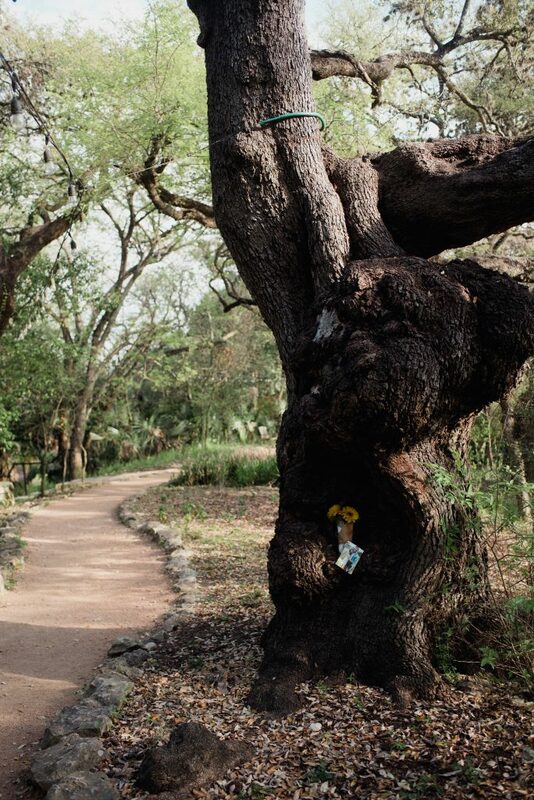 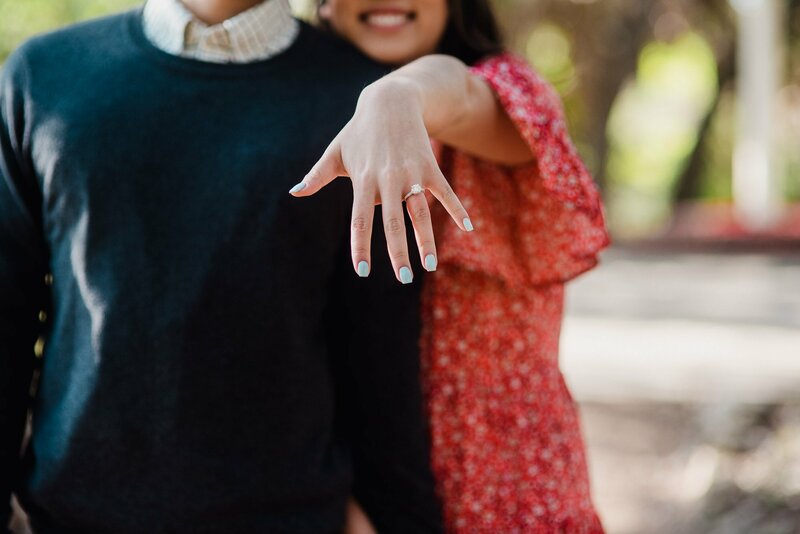 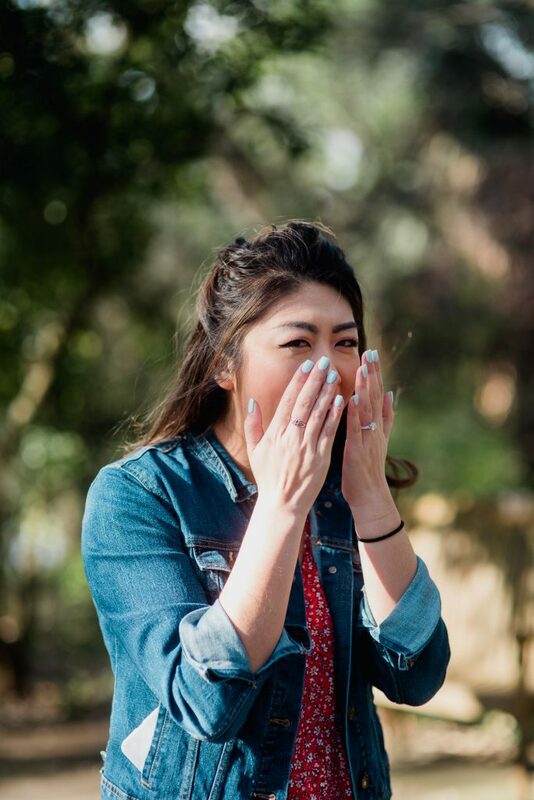 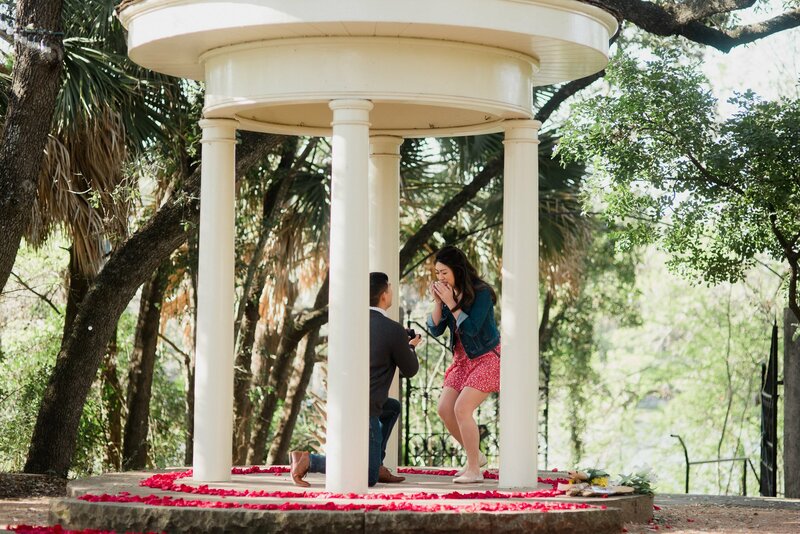 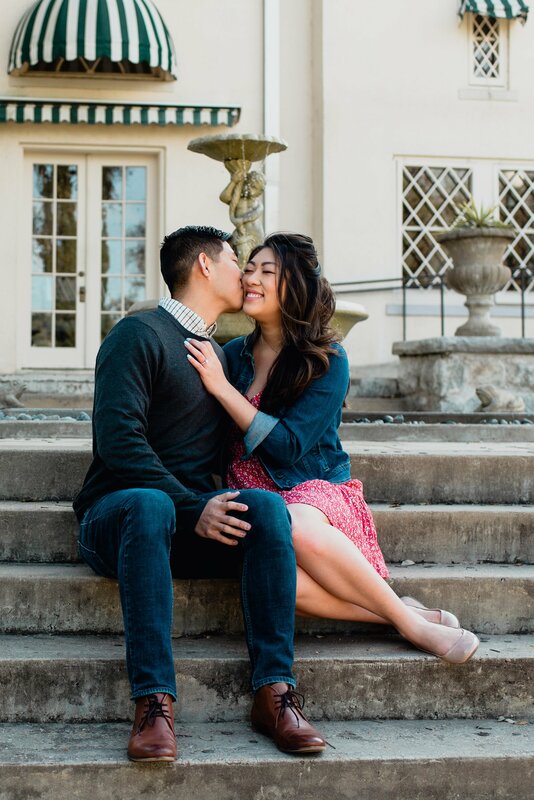 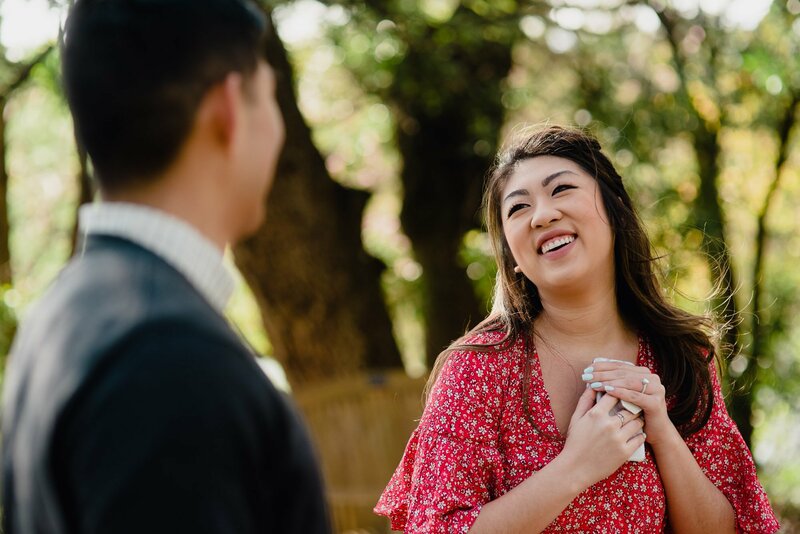 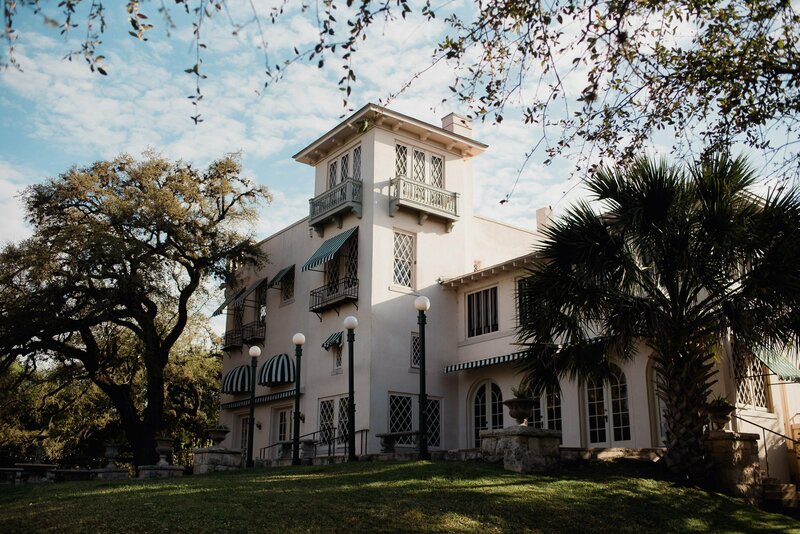 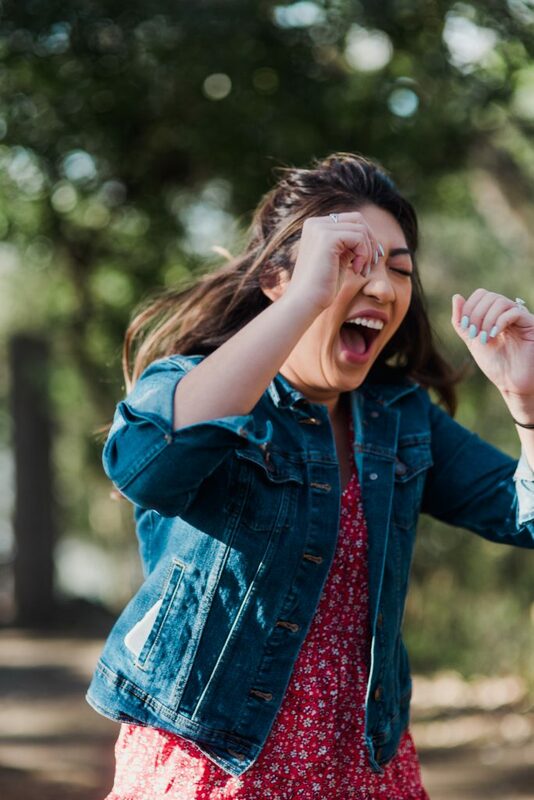 In reality he had reserved a few hours at Laguna Gloria before it even opened to the public and planned a surprise proposal with the help of some friends and with me there to capture it. 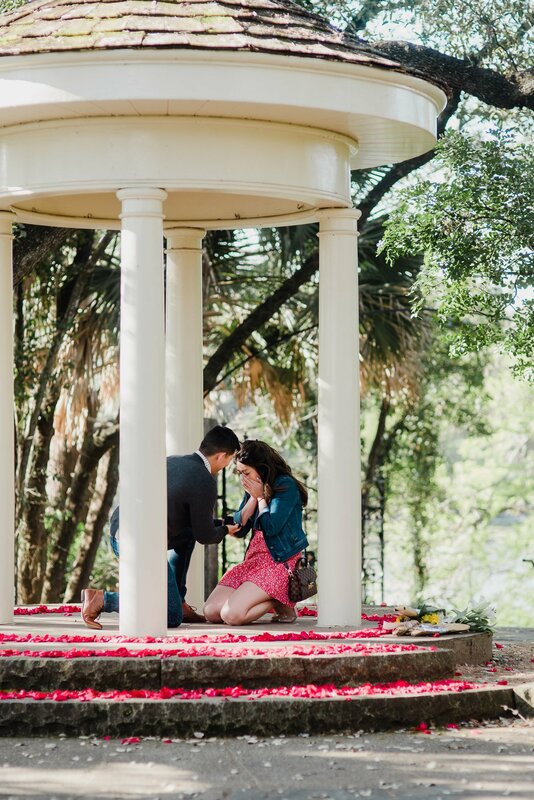 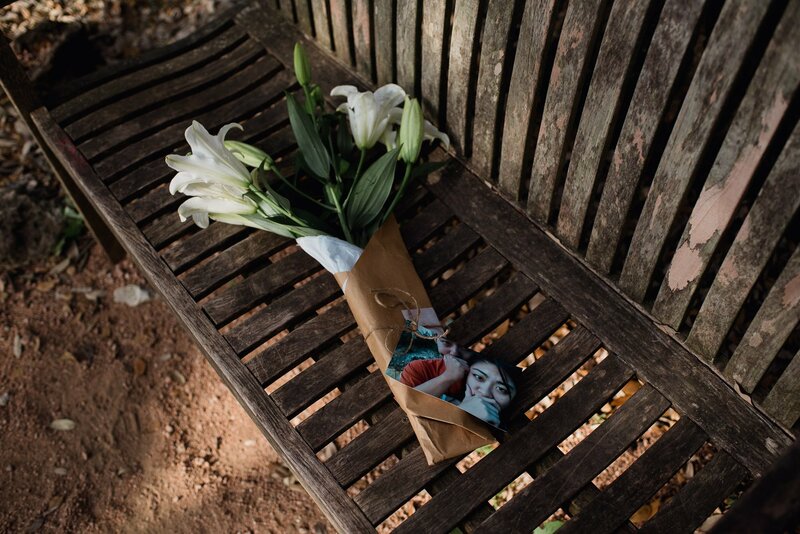 Photos along the pathway with flowers that represented the things he loved most about her, ending in the Temple of Love decorated with a hundred rose petals. 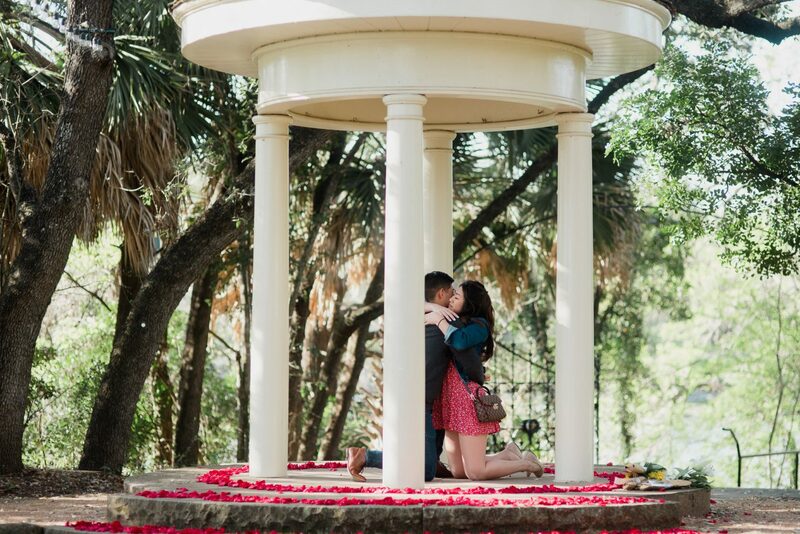 This was the first morning proposal I’ve done and I highly recommend it! 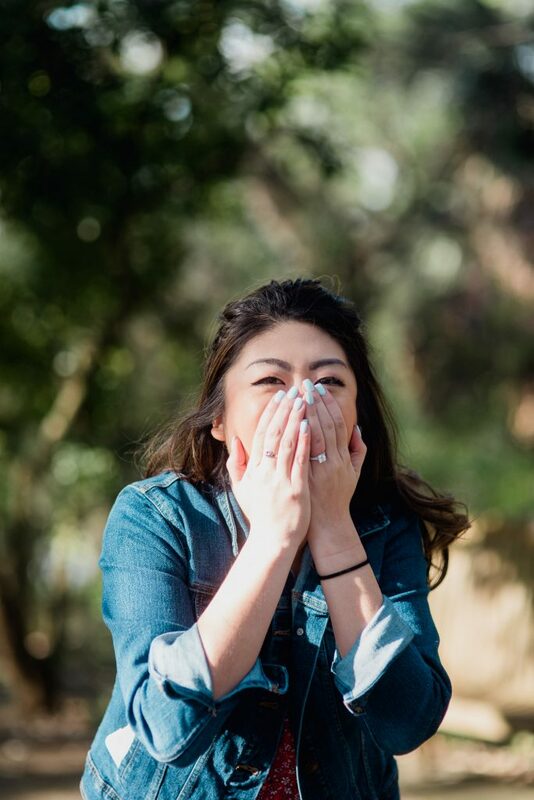 You’ll have the whole day for surprises and excited phone calls to family & friends. 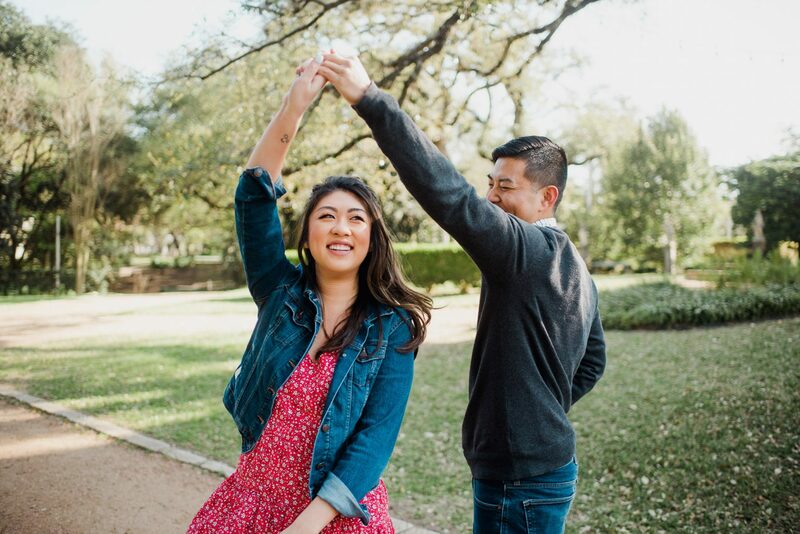 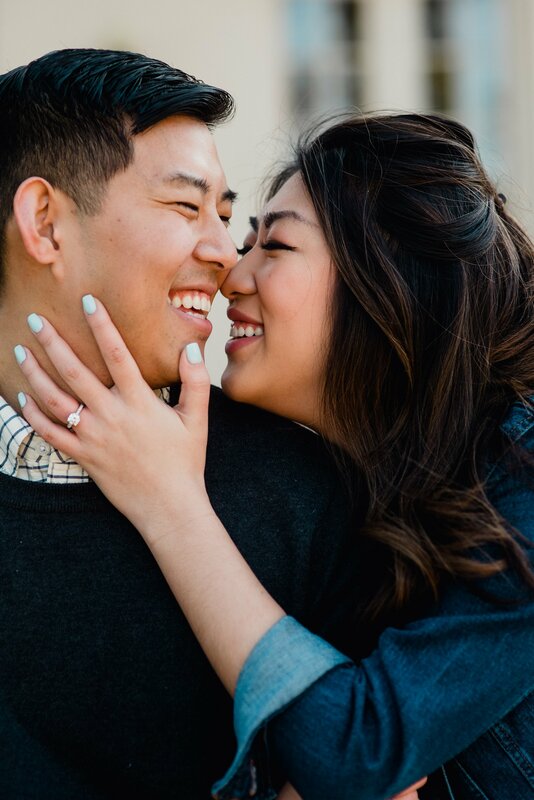 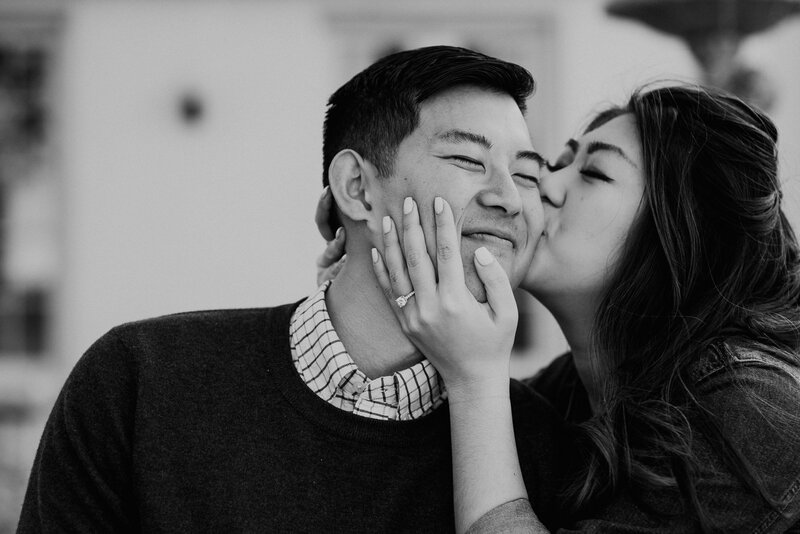 Kyle and Linh – thank you for making this Saturday so much fun. 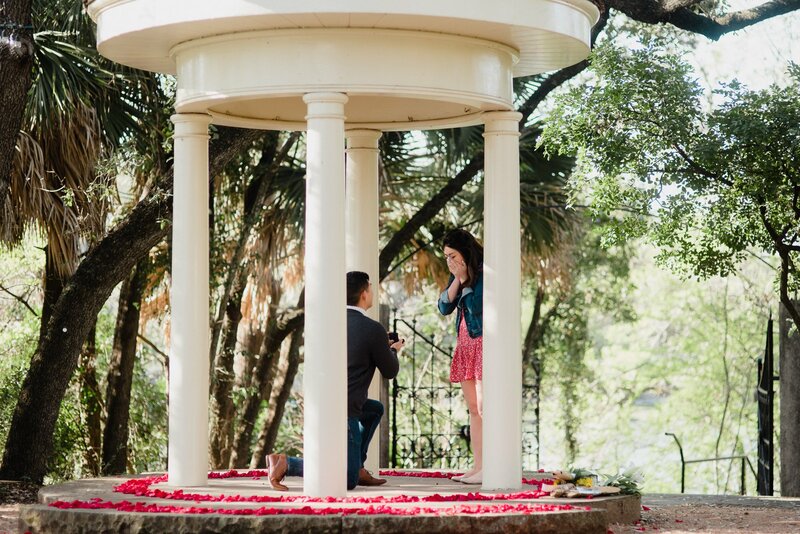 Kyle had the location all picked out, all I had to do was encourage him to take his time and make sure I had the best spot for photos! 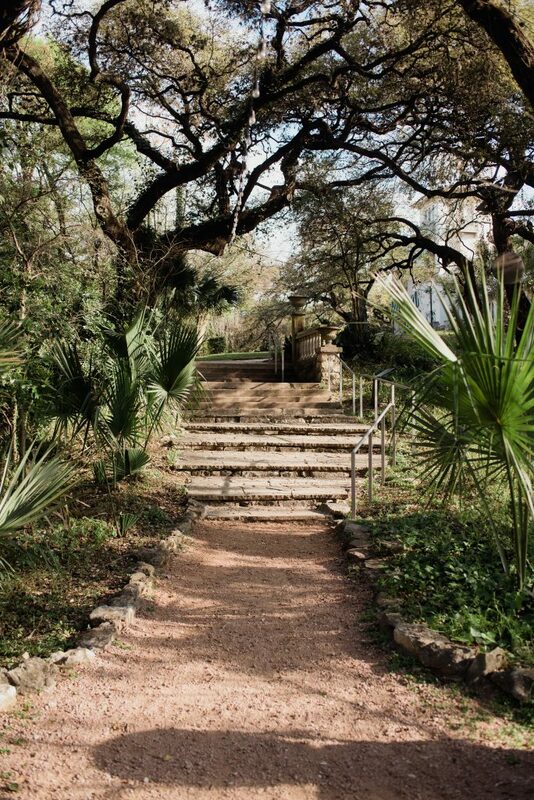 early morning at Laguna Gloria before it opens to the public. 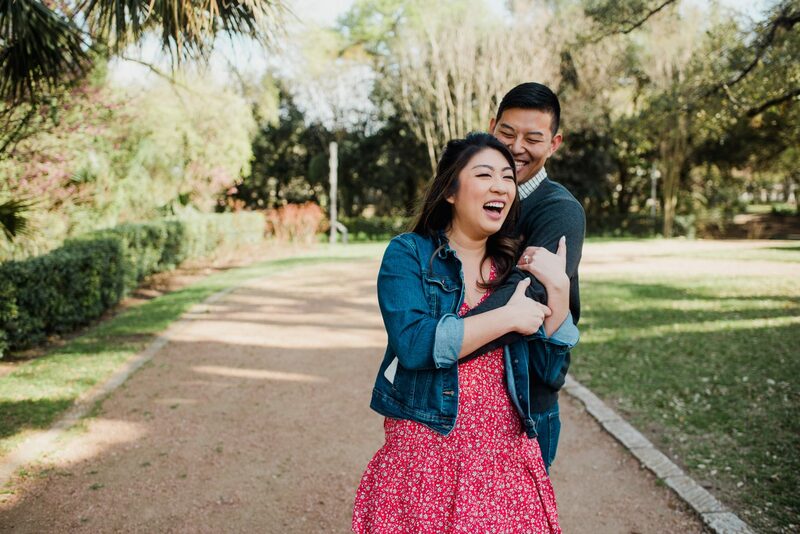 since we had Laguna Gloria all to ourselves, time to take a few “just engaged” photos! 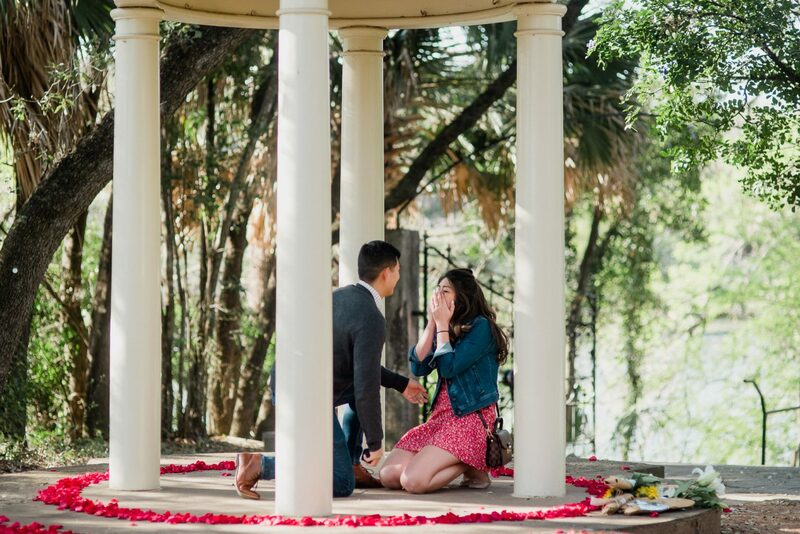 Looking for a photographer for your surprise proposal in Austin? 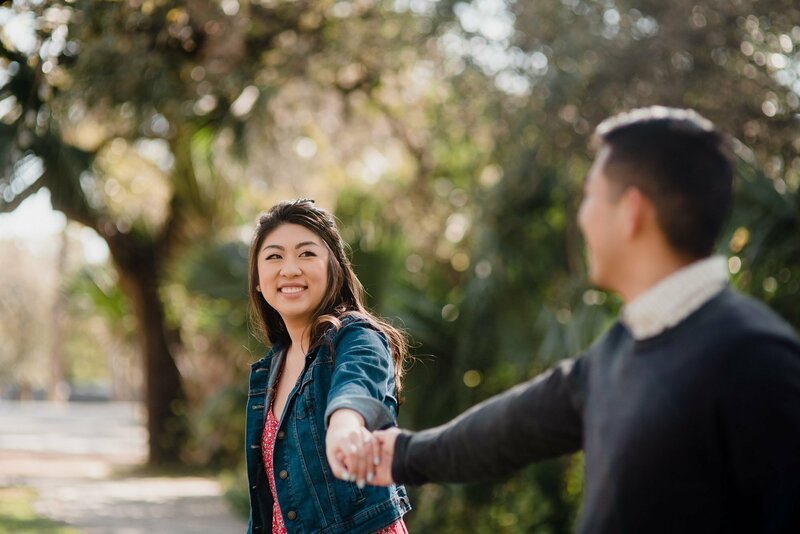 Check and see if your date is available and I’ll get right back to you with more information!